Controversial Journalist and Mafia expert Roberto Saviano has said that UK is the most corrupt country in the world. Roberto Saviano the best selling author of Gomorrah and Zero, zero, zero made this shocking revelations during the Haye literary festival. The outspoken 36 year old journalist has spent the last decade of his life exposing the inner workings of the Italian mafia. And he has paid dearly for that choice. A process which has seen him needing constant police protection. Especially after he published revelations about the Camorra, a powerful branch of the Neapolitan mafia. This is what Roberto Saviano told his audience at the festival. "If I asked you what is the most corrupt place on Earth you might tell me well it’s Afghanistan, maybe Greece, Nigeria, the South of Italy and I will tell you it’s the UK. "It’s not the bureaucracy, it’s not the police, it’s not the politics but what is corrupt is the financial capital. 90 per cent of the owners of capital in London have their headquarters offshore. "Jersey and the Cayman’s are the access gates to criminal capital in Europe and the UK is the country that allows it. That is why it is important why it is so crucial for me to be here today and to talk to you because I want to tell you , this is about you, this is about your life, this is about your government." Athough the UK is ranked 10th in transparency worldwide by Transparency international, there have been calls for the British Prime minister David Cameron to reform offshore tax havens in its own territories around the world. 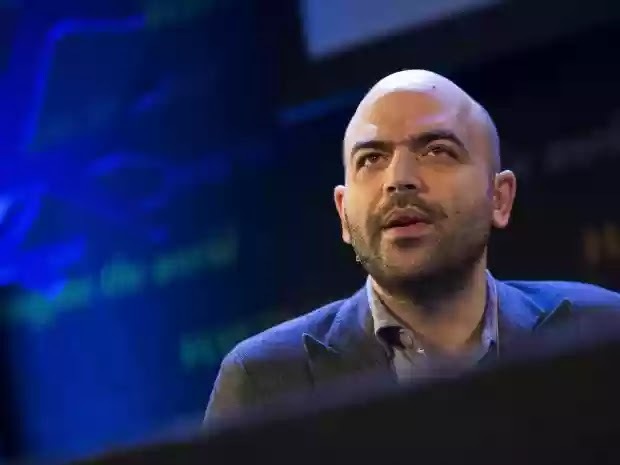 The journalist Saviano also gave his take on the ongoing EU referendum debate, stating that Britain leaving the EU will only make the country even more susceptible to crime. He said that the Britain's move from the EU will only create a firmer foothold for organized crime. A situation were the Qatari societies, the Mexican cartels and even the Russian mafia would seize the opportunity to expand their already thriving UK networks.